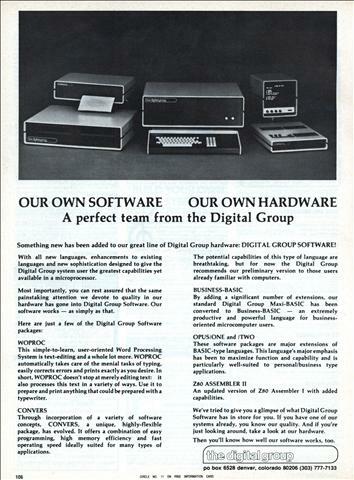 Something new has been added to our great line of Digital Group hardware: DIGITAL GROUP SOFTWARE! With all new languages, enhancements to existing languages and new sophistication designed to give the Digital Group system user the greatest capabilities yet available in a microprocessor. Most importantly, you can rest assured that the same painstaking attention we devote to quality in our hardware has gone into Digital Group Software. Our software works — as simply as that. MOST EXECUTIVES recognize the crucial, long-range problems that will affect the future growth of their companies. They know how to handle them, too. Their knottiest problem is to find the time to tackle them after grappling with a daily host of routine problems. 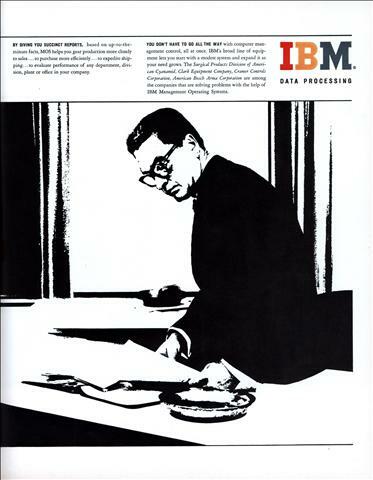 AN IBM MANAGEMENT OPERATING SYSTEM (MOS) can help you find the time. 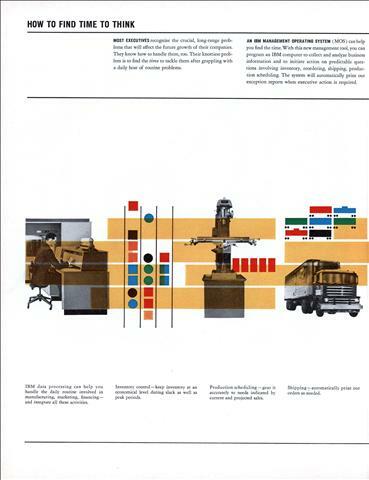 With this new management tool, you can program an IBM computer to collect and analyze business information and to initiate action on predictable questions involving inventory, reordering, shipping, production scheduling. The system will automatically print out exception reports when executive action is required. 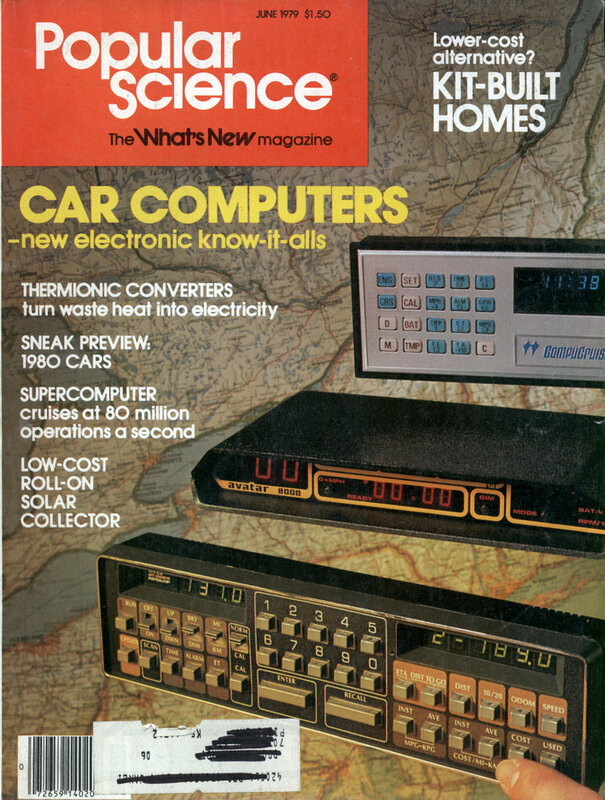 Your Computer is Wasting Time and Money! In other computers the master clock breaks time into cycles tailored to the longest operation. Shorter operations are also completed within these same time limits. Time is wasted… waiting. 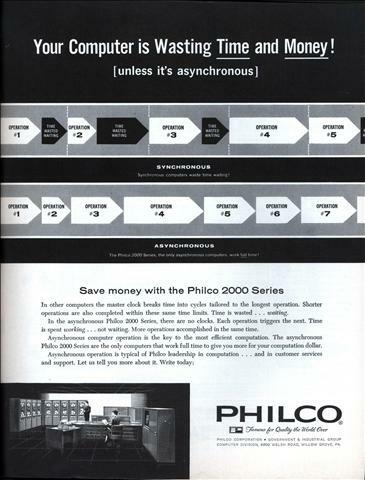 In the asynchronous Philco 2000 Series, there are no clocks. Each operation triggers the next. Time is spent working… not waiting. More operations accomplished in the same time. 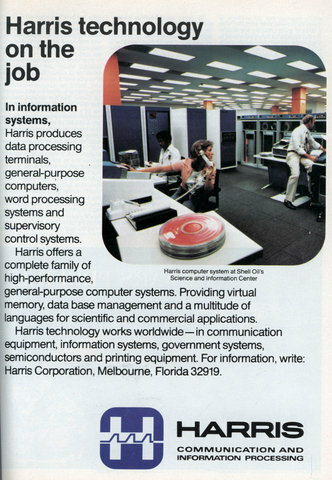 In information systems, Harris produces data processing terminals, general-purpose computers, word processing systems and supervisory control systems. 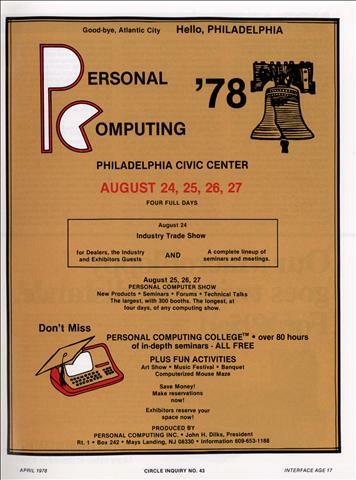 Harris offers a complete family of high-performance, general-purpose computer systems. Providing virtual memory, data base management and a multitude of languages for scientific and commercial applications. 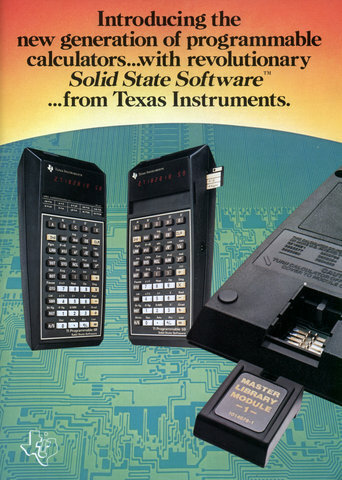 Introducing the new generation of programmable calculators… with revolutionary Solid State Software… from Texas Instruments. 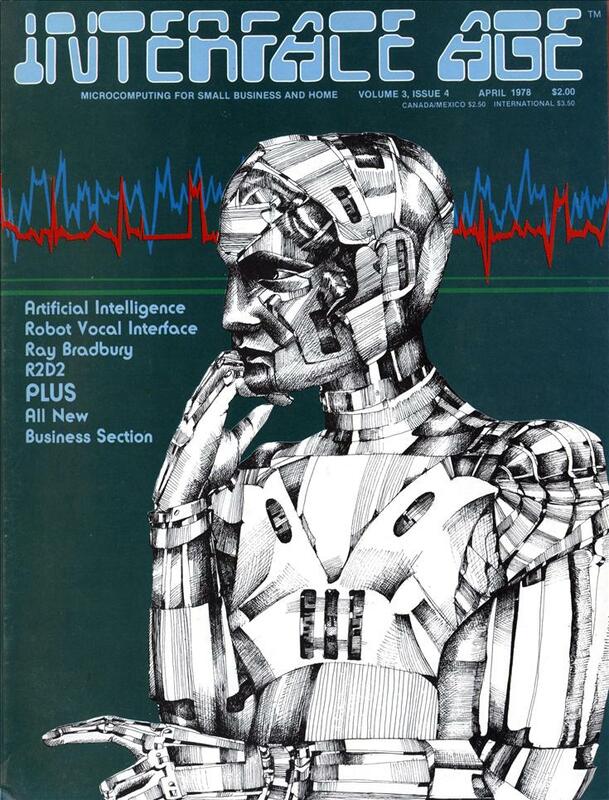 The world’s most advanced programmables. 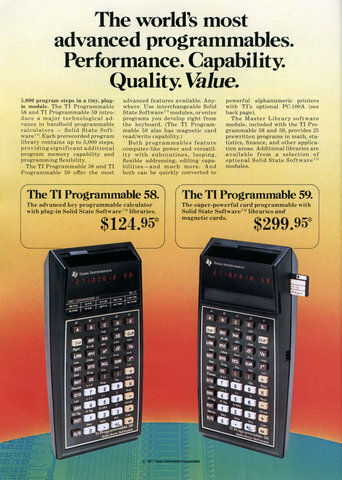 The advanced key programmable calculator with plug-in Solid State Software™ libraries. The super-powerful card programmable with Solid State Software™ libraries and magnetic cards. 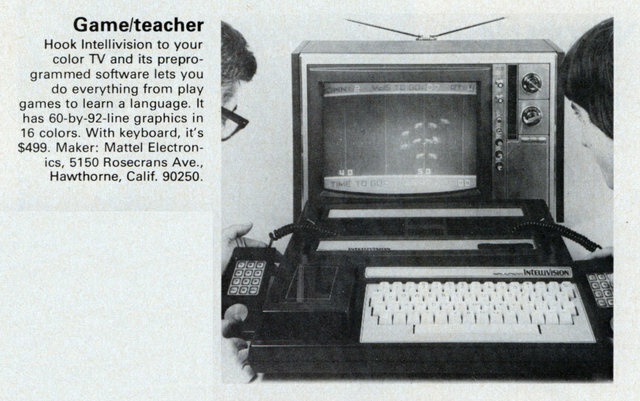 That Televideo keyboard has a really weird, narrow numeric keypad. 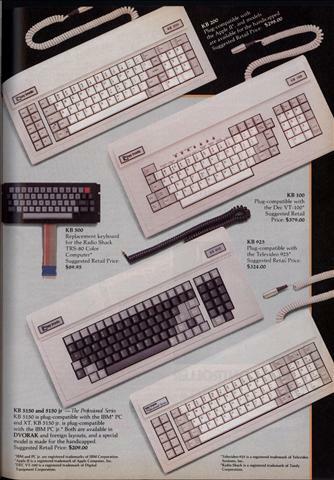 Also, it today’s dollars it would cost $716 in today’s dollars, which is pretty insane for a keyboard. KeyTronic is still around and they still sell keyboards, though it looks like they haven’t designed a new one in the last decade. They’ve shifted almost exclusively over to producing products for other companies. Your System Deserves The Best! To enhance the performance of your personal computer or computer terminal, ask your dealer for a plug-compatible Key Tronic keyboard. 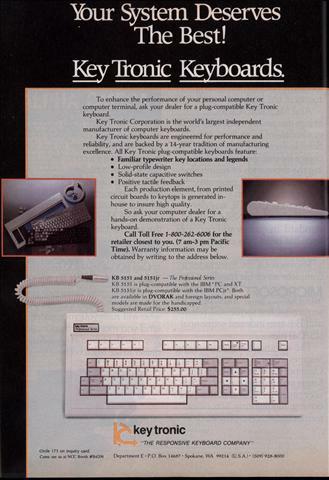 Key Tronic Corporation is the world’s largest independent manufacturer of computer keyboards. 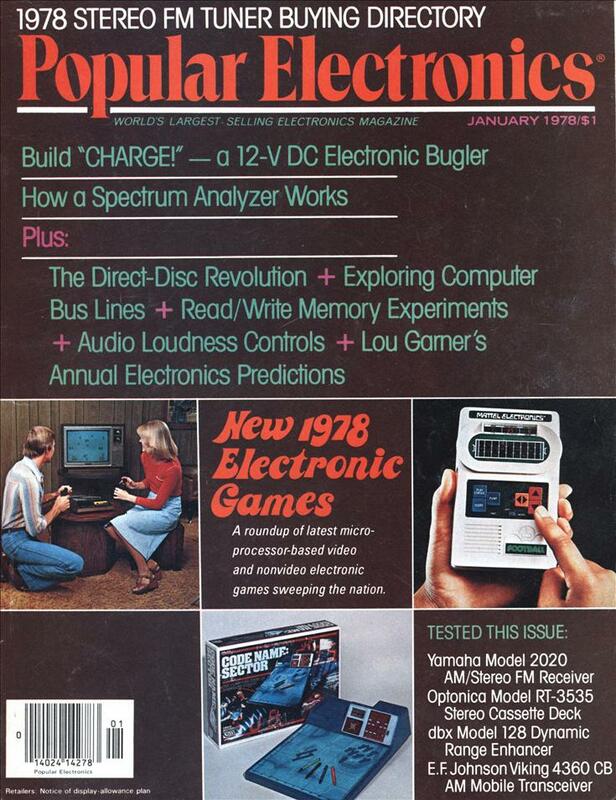 Hook Intellivision to your color TV and its preprogrammed software lets you do everything from play games to learn a language. 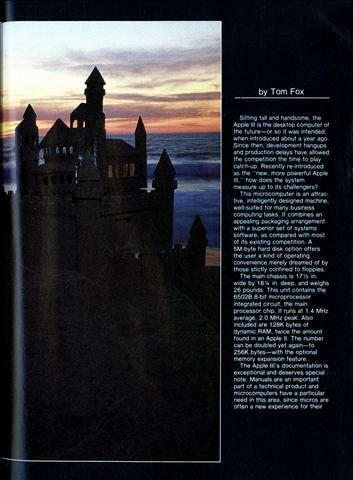 It has 60-by-92-line graphics in 16 colors. With keyboard, it’s $499. Maker: Mattel Electronics, 5150 Rosecrans Ave., Hawthorne, Calif. 90250. 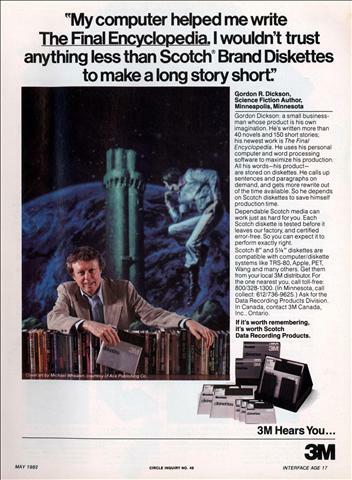 Gordon Dickson: a small businessman whose product is his own imagination. 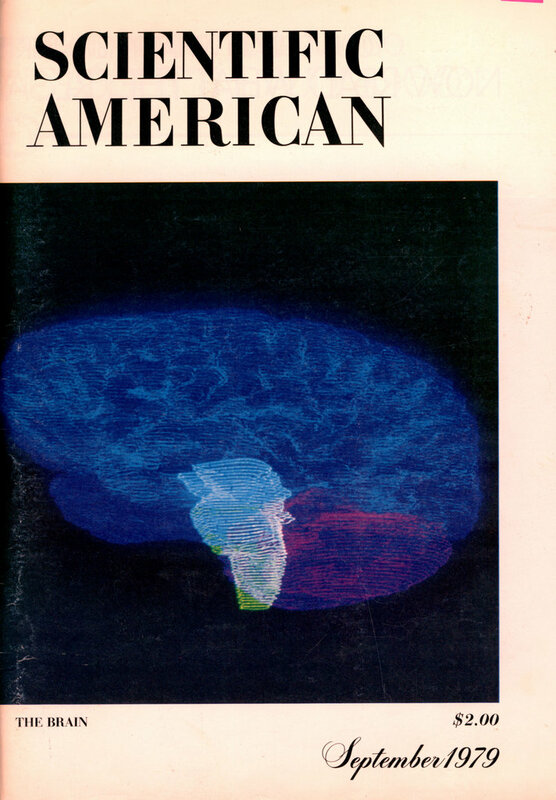 He’s written more than 40 novels and 150 short stories; his newest work is The Final Encyclopedia. He uses his personal computer and word processing software to maximize his production. All his words-his product-are stored on diskettes. Actually, it never stopped biting. 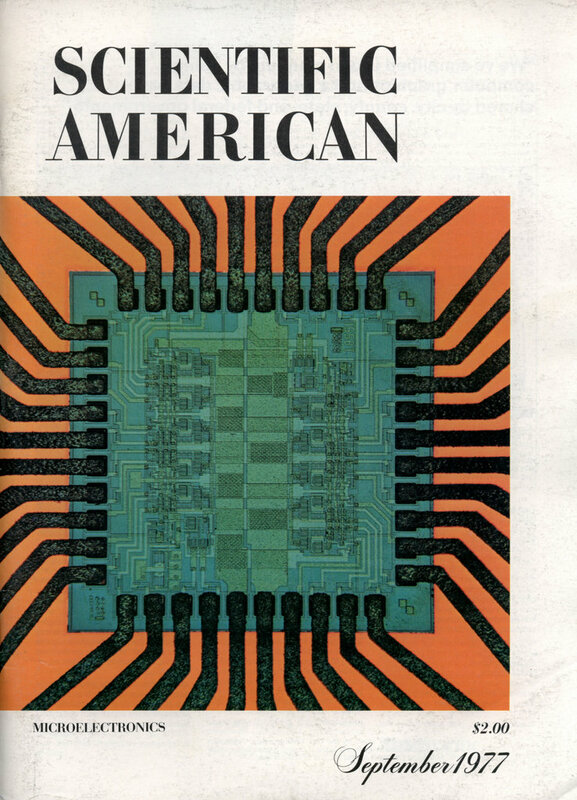 The Apple III was an unmitigated disaster. One of the reason’s for its “reintroduction” was that Steve Jobs had insisted that it not have a fan. The chips inside would get so hot that they would pop out of their sockets. Apple’s official advice to customers when this happened was to lift the computer a few inches off of the table and drop it to reseat the chips. Regarding it’s hard drive, it’s kind of crazy to think that it only spun at 60 RPM. Modern drives usually spin at 7,200 RPM and high end drives spin at 10-15,000 RPM; though the former usually have 3.5″ platters and the latter 2.5″ so there is a lot less metal to fling around. As pointed out by Michael Covington in the comments, the drive actually rotated 60 times per second, or 3600 RPM. Not that far off from today’s drives. My bad. 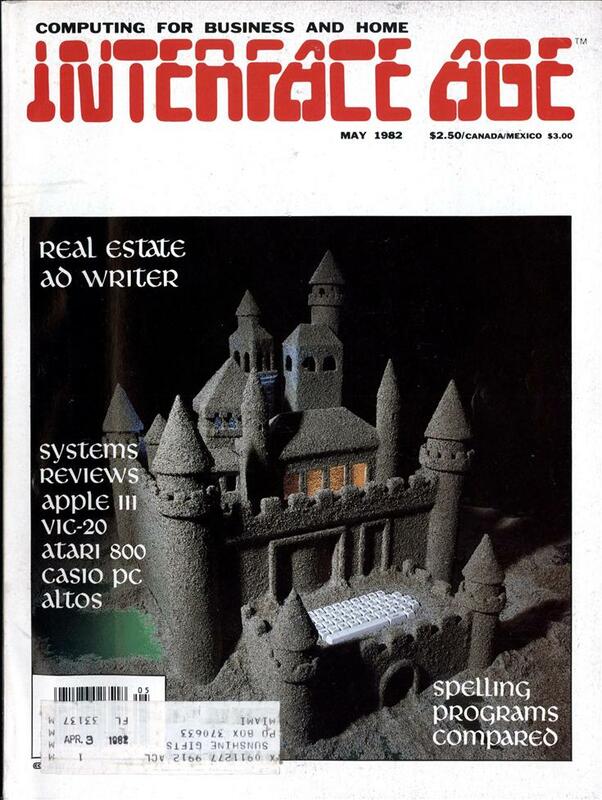 The OCR software kept reading “Apple III’s” as “Apple Ill’s” which seems appropriate. Also, once again Interface age shows that they really could have used a spell-checker, or at least a copy-editor as this piece is rife with spelling errors (which I generally left in). 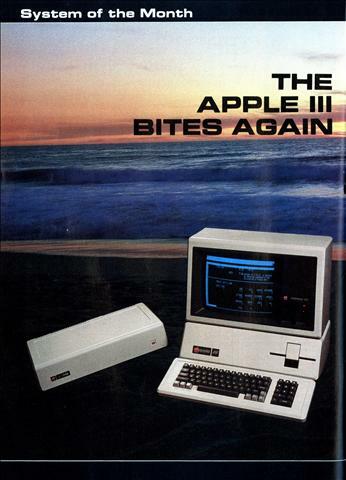 Sitting tall and handsome, the Apple III is the desktop computer of the future—or so it was intended, when introduced about a year ago. 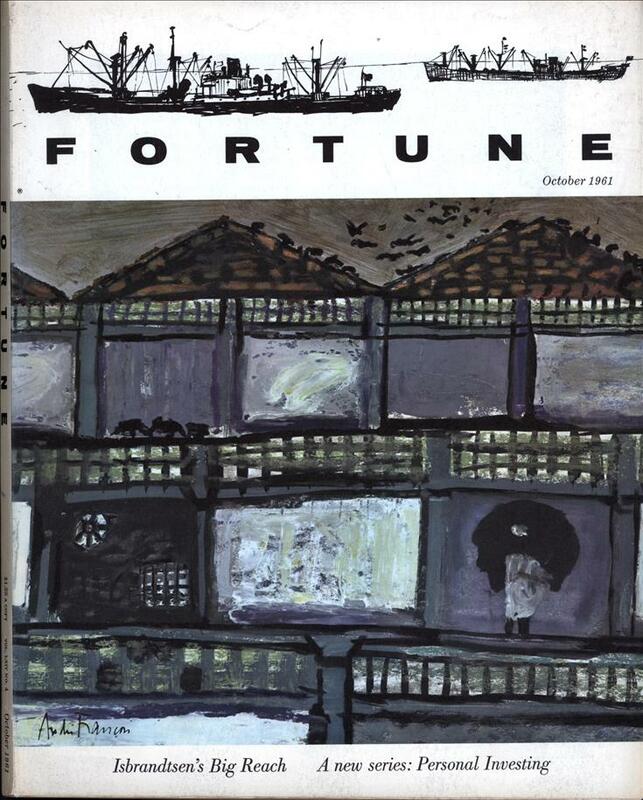 Since then, development hangups and production delays have allowed the competition the time to play catch-up. 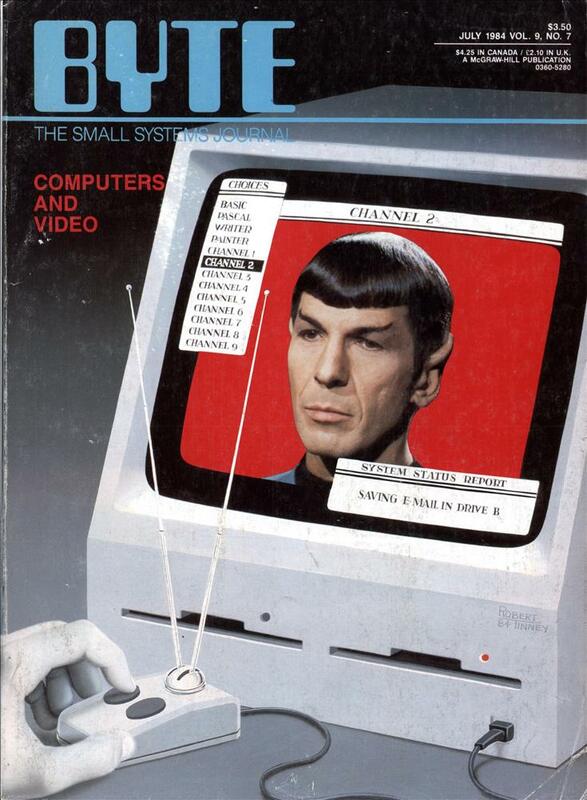 Recently re-introduced as the “new, more powerful Apple III,” how does the system measure up to its challengers?